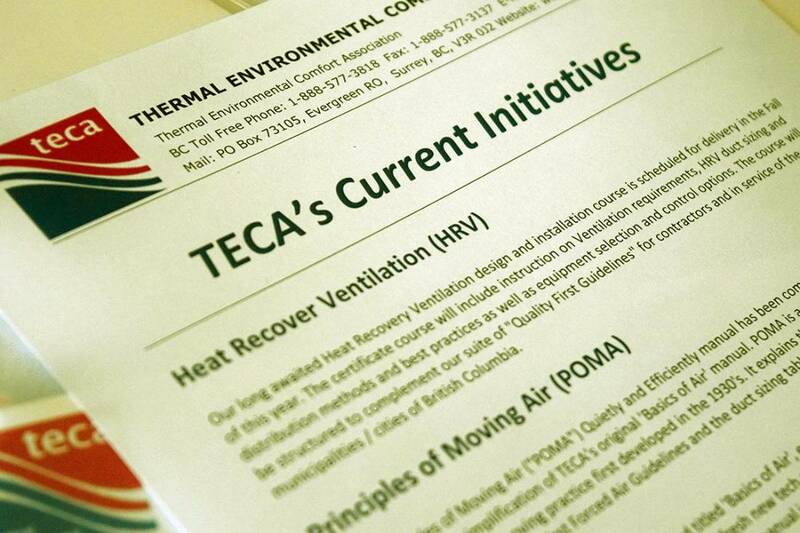 It has been a busy Summer at TECA and we are delighted to officially announce the launch of our new and improved web site! Our goal with this new website is to provide our visitors and TECA members an easier way to register for Quality First training courses and purchasing Quality First products. It is mobile-friendly, meaning you should be able to access the sites' full features and functionalities from any mobile device. There are 2 major search tools. Anyone who holds current Q1st certification is included in this database. Homeowners or inspectors will find this tool useful. Those companies that are TECA members will see a TECA Logo beside their company names with a link to your web site. If your web site is missing please advise us at the TECA office with a link to your site. Anyone who has current Quality First Certification or maintains active membership is included in this database. Live credit card processing so you know right away if your payment was successful or not. Membership Data Inaccuracy Reporting Tool. You can view your current member employees and report to us if you see any inaccuracy with your employee records. Members-Only Resource Area. If your membership is current then you will be able to login with your email address and access our member-only content area. Much improved registration tool will allow you to register for courses with ease. Registration is now open for our Quality First 2017 Fall / Winter Sessions. Purchase Products. Much improved and streamlined shopping cart process. Register for Member Meetings. Reserve your seats for membership meetings online, fast and with ease. If your membership is current then the system will automatically apply membership discounts to your purchases. Non-members or expired members will still be able to purchase products / training courses, but no membership discount is applied. We hope you find the new website fresh and modern. We will continue to build upon and improve this site and do have some plans for Phase 2.